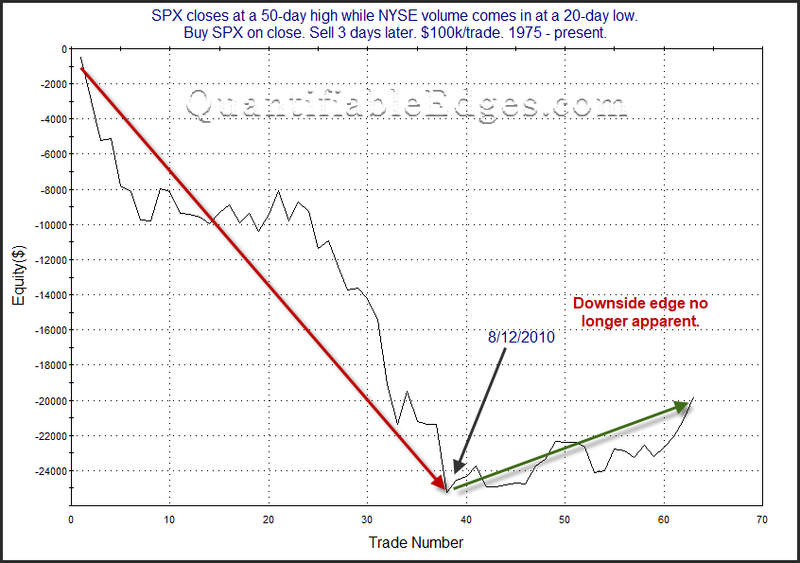 Low volume at a new high has not seemed to matter during this decade. Perhaps it is due to such a long and persistent bull market. Perhaps off-exchange volume or increased derivatives trading has changed the importance of NYSE volume. Or maybe the SPX(NYSEARCA:SPY) mean-reversion tendency has lessened. But whatever the reason, a new high on low volume does not seem to be a bad omen anymore.